I test, tweak and develop a lot of recipes, and about roughly half make the cut to be shared either here or at familyeducation.com. 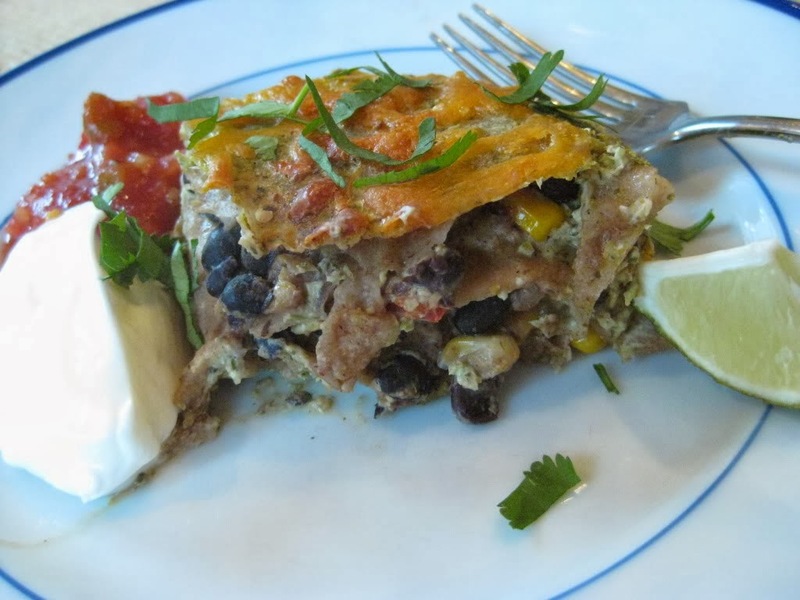 Some recipes I share because I think, "I bet someone would like this!" But other recipes I share thinking, "please make this, it is too good not to make!" This recipe is too good not to make. * The fact that you use the slow cooker to make it only sweetens the deal. My mom is my biggest fan and is always giving me ideas and recipes to try. Huge kudos to her for sharing a recipe for making Moo Shu Pork in the slow cooker. I took the recipe and kicked/jazzed it up a bit. This recipe is so yummy, so delicious and so healthful, it is going directly into our "make again" file. The boys inhaled this dinner. They loved it. If I told them they were eating mushrooms, cabbage and carrots, I know they would have stopped in their tracks. But the beauty of Moo Shu is that everything becomes a yummy mess of goodness, and it is tricky to distinguish pork from mushrooms, especially for the young set. R and I made a stop to our local Asian Market to pick up Moo Shu wrappers, but you can easily use tortillas. 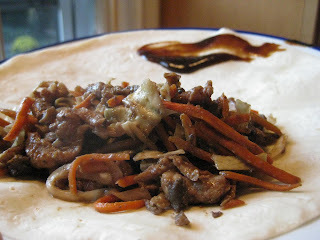 Traditionally you sort of half-wrap Moo Shu, but we rolled ours up all the way. "The better to hide the mushrooms with, my dear!" Place the pork in the freezer for about half an hour, if possible. This allows easier slicing of the pork. Slice the pork in 1/8" slices. Set aside. In the slow cooker, add the coleslaw mix, carrots, onion and mushrooms. 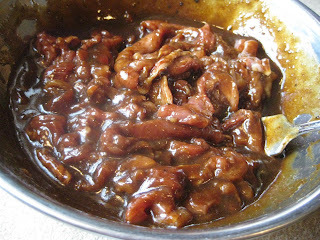 Add the pork and marinade to the slow cooker and toss to mix a bit. Cook on HIGH for 4-5 hours, LOW for 8-9 hours. If using eggs, scramble two eggs before serving. 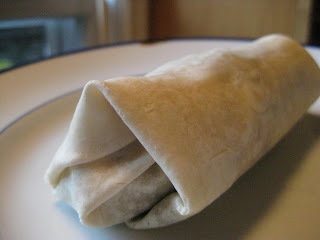 Place about 1/3 cup of the Moo Shu mixture on one end of each wrapper, and roll like a burrito/egg roll. Use a bit of hoison to help "seal" the wrap if necessary. *assuming you like Asian food, of course. Can't wait to try this one! We hosted our family on Sunday and did cashew chicken, spicy green beans, general tso's shrimp, lo mein noodles, chile lime beef, and broccoli with oyster sauce. Would love to include Moo Shu Pork. My mom wanted to let you know that your pumpkin bread cured her of whatever ailed her yesterday. A complete 180 turn around. And it's super yummy!! Awesome. I had made and posted Moo SHu shrimp not so long ago and I bought the wrappers from the take out place. Very convenient. I want to try it with pork.